Watch what happens when you describe the Solar System without using the word planet, a term that in my opinion has done a lot of damage to the way the average person views it. There are eight (or nine) planets...and a bunch of other stuff, as the general view gleaned from our textbooks goes. Oh, and I'm going to use surface area instead of diameter. The Solar System is composed of the Sun and all the objects that orbit it. There are large gaseous objects, smaller rocky and spherical objects, and the smallest which are rocky or icy and irregularly shaped. The four largest are gaseous spherical objects, and have others orbiting them. Given their large size they are systems of their own. Their names are Jupiter, Saturn, Ouranos and Neptune. The next one is the body we live on. The next one in size is a spherical rocky object called Venus, with a surface area 27 times that of Russia. The next one is a spherical rocky object called Mars, with a surface area 8.5 times that of Russia. The next few orbit the giant gaseous body called Jupiter, and we won't explain them here. The next one is a spherical rocky object called Mercury, with a surface area 4.4 times that of Russia. Then we have two spherical rocky objects located very far out, in different locations but with similar sizes. One of these bodies is called Eris, and has a surface area....the same as Russia. The other one is called Pluto with the same surface area, but another world orbits it called Charon (along with three smaller ones), and this is also a rocky spherical body with a surface area greater than India. 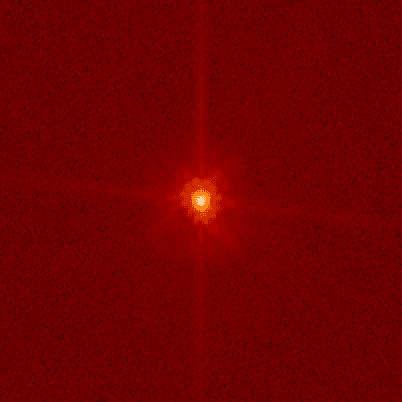 The next largest is a spherical rocky body called Makemake. Makemake has a surface area about that of two Indias, and it is also located very far out. After Makemake comes the spherical rocky body Sedna. Sedna is extremely far out, and orbits the Sun once in 11,400 years. It has a surface area nearly the same as Makemake, two Indias. After Sedna comes a spherical rocky body discovered just five years ago with the tentative name of Snow White. This body has a surface area greater than India. Next comes a spherical rocky body called Haumea, with a similar size. After that comes a spherical rocky body with a lot of ice called Ceres. It has a surface area equivalent to Argentina. 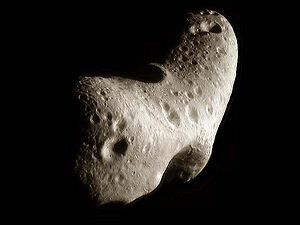 after that comes an irregular spherical rocky body called 433 Eros. It has a surface area about the same as the country of Bahrain - walking around it once would take about two days at eight hours a day, and a velocity of about 36 kph is needed to break free from its gravity. ....and so on. Note how the moment we remove the word planet we are suddenly open to everything outside the standard destinations we all know. Now we are just talking about bodies in the Solar System, what they look like, what they are like to stand on, where they are, and anything else worth mentioning. 2) Here are some objects in it. They look like this, are this big, are interesting because of X and Y. Our current myopic view of the Solar System is harmful to our exploring of it. It gives great precedence to the spherical bodies that have received the name planet, and almost entirely obscures those that have not been bequeathed with such a title. Going from largest to smallest, even getting to the 1000th place gives us a body with a surface area about three times that of Luxembourg. That's a lot of ignored territory, most of it in more or less our back yard.